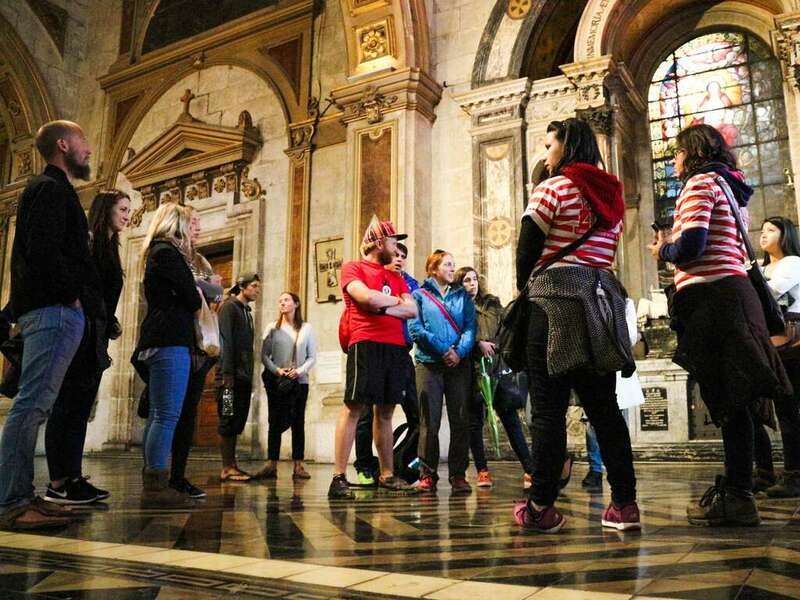 Join us for a 3 hour walking adventure around the city. We visit and chat about the architecture, side streets, and both the political and cultural destinations. We explain all the blank spaces you may have left of Santiago. You will learn why there are so many street dogs, what it means to be Chilean and why coffee is only enjoyable when served by a half naked lady! 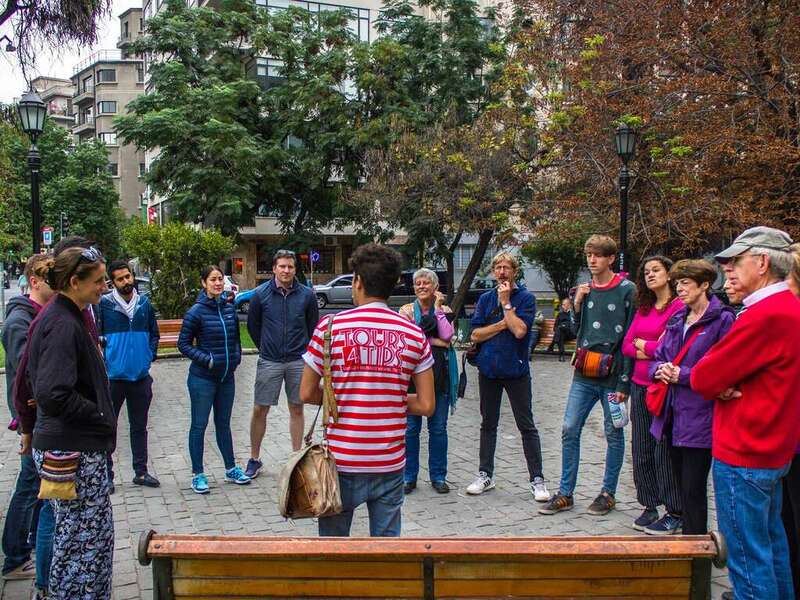 All this along with a graffiti trip, discovering Plaza De Armas and visiting the famous La Moneda Presidential Palace + more! This tour will help you understand our unconditional love for this city! 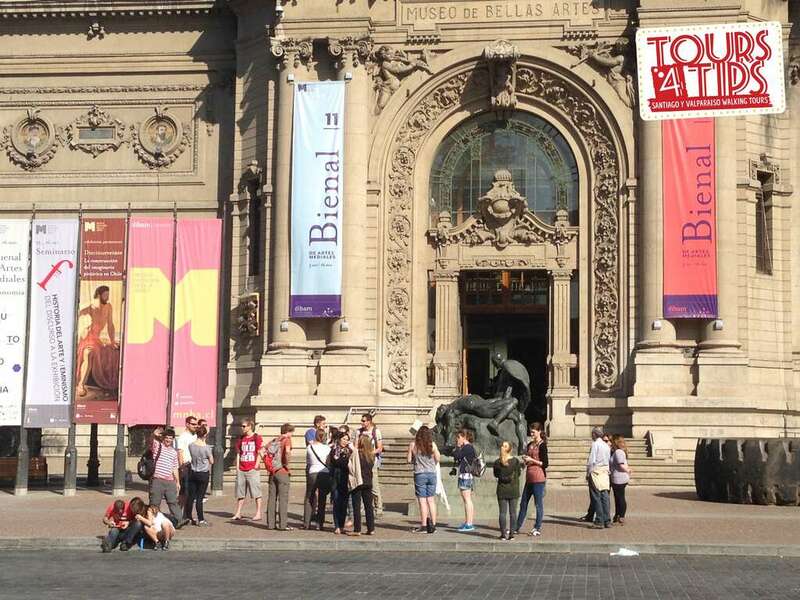 Find your bilingual red and white striped Wally guide right outside the Bellas Artes Museum. 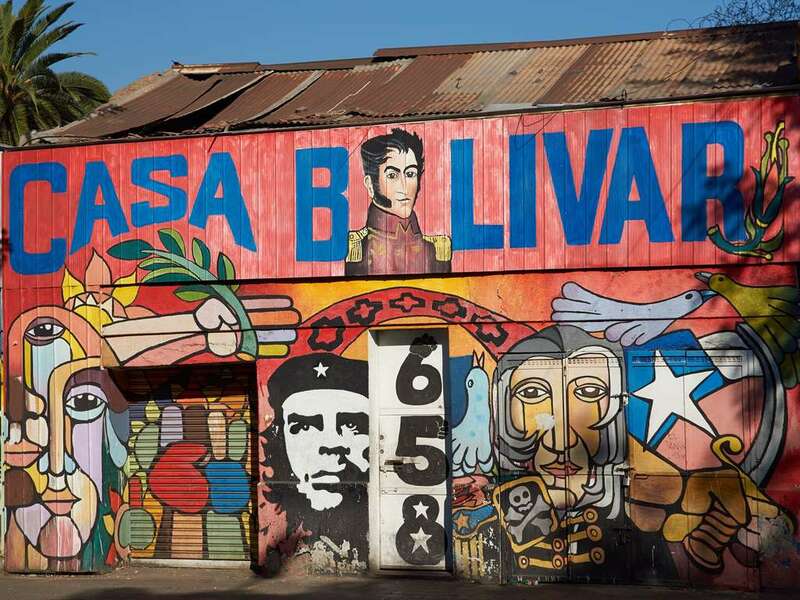 We begin the tour in the bohemian neighborhood exploring some of Santiago’s most symbolic street art. We will then introduce you to one of the young locals favorite hangout spots and Cultural Centre GAM. From here you will explore the hip Lastarria neighbourhood (time to put bets on how many hipster beards you think you will see). 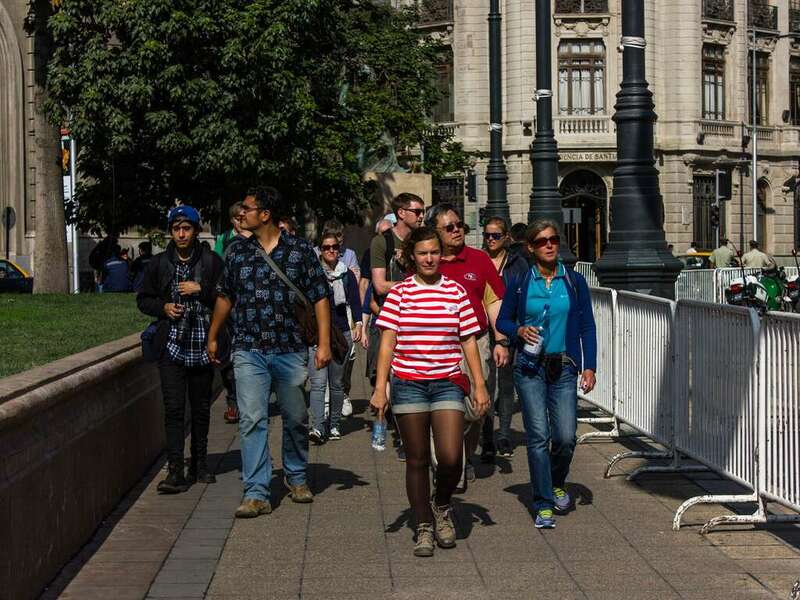 Your Wally guide explains the individual (and a little odd) Coffee culture in Santiago. 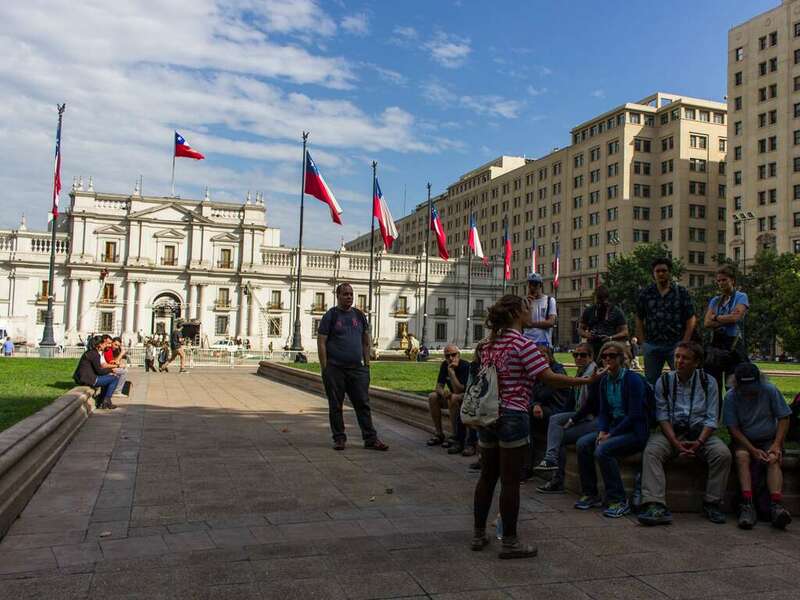 Listen to your freelance guide discuss the 1973 military coup with a backdrop of La Moneda Presidential Palace and discover just how important this building was to the fall of Pinochet! 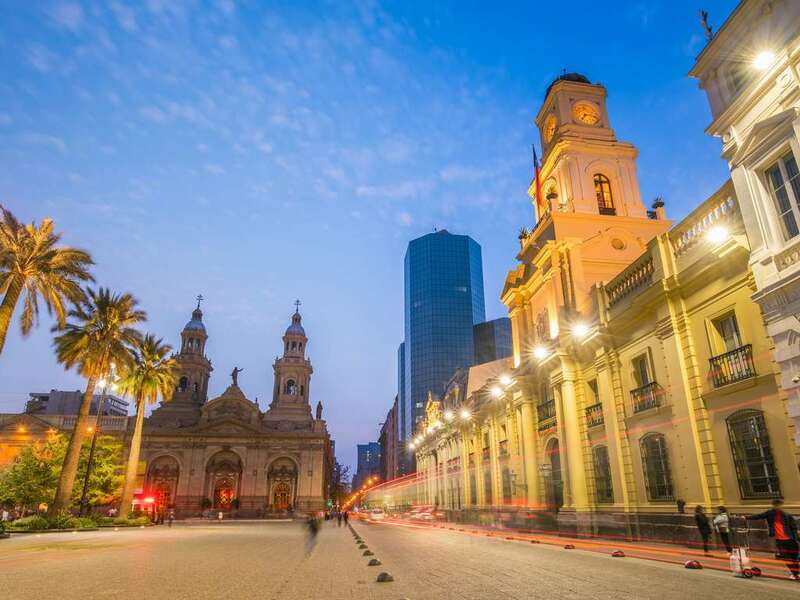 Arriving in Santiago’s heart, you will see an array of visually impressive buildings. Shortly after exploring We finish off just in time for cocktail hour in one of the cool bars. Your freelance Wally guide will offer up their best advice and recommendations over a drink.